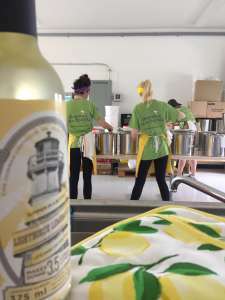 An old family recipe for summer in a bottle is coming soon to a grocery store near you, thanks to Lighthouse Lemonade with help from Innovation Guelph. The Fergus-based company’s lemonade cordial, made from a traditional Maritime recipe that pre-dates Confederation, is now available in specialty shops, Sobeys and Foodland stores across Ontario. It is expected to arrive on the shelves at select Metro stores this summer. Company founder and CEO Jill Fisher started selling the lemonade in 2009 at the farmers’ markets in Guelph and St. Jacobs, growing slowly and adding stores like Market Fresh and Vincenzo’s while raising her family. After opening Lighthouse Lemonade’s solar-powered production facility in 2017, the slow and steady approach is paying off for Fisher, who was one of Innovation Guelph’s first clients. Fisher grew up in Sackville, N.B., steeped in the lore of her family’s connections to the sea and a generations-old lemonade cordial recipe enjoyed by people all along the Northumberland Strait, where imbibers diluted it to make lemonade or added a splash to cocktails such as gin and tonic. As a child, Fisher would often help make and bottle the lemony elixir which, legend has it, her ancestor Charles Fisher – one of the Fathers of Confederation – served to Canada’s first prime minister, Sir John A. Macdonald, when he was in New Brunswick for talks on forming the nation. Fast forward a few decades and Fisher, a University of Waterloo graduate in Classical Civilization, had become the keeper of a legacy that she wanted to share with the world. 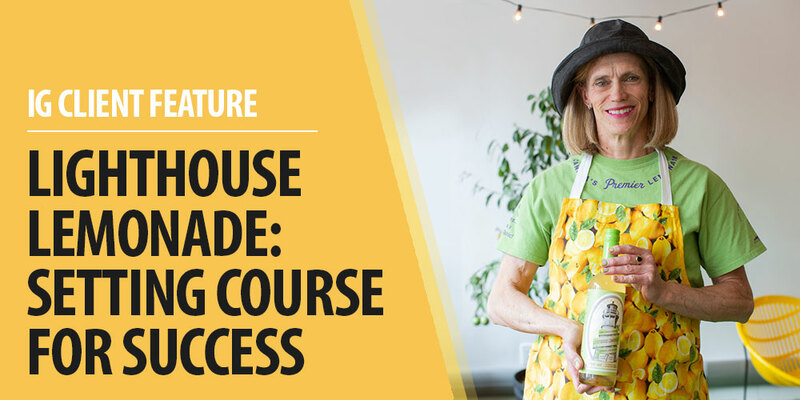 Graduating from the Stratford Chefs School provided a stepping stone into the food industry, and colleagues who tasted the lemonade provided the encouragement and support she needed to set sail. Since launching the business, Fisher has participated in a number of Innovation Guelph programs and worked with several former and current mentors including Jamie Doran, Kevin Boone, Steve Barrett, Jane Dummer and Peter Warmels. She’s also a 2016 Rhyze Award recipient and took part in the first How to Grow Your Food Co. workshop. “I don’t have the business background that somebody like Steve Barrett has. It’s great to be able to ask him questions and have him explain concepts in layman’s terms that connect to my business, in a way that makes sense to me,” Fisher says.